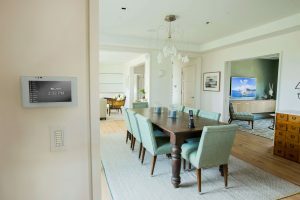 The ELAN Entertainment & Control System seamlessly integrates in-home multi-room audio, multi-room video, climate, lighting, irrigation and more with an easy-to-use smart home control interface that is accessible to the homeowner from anywhere in the home or beyond. The latest iteration of ELAN’s interface, the 8 software, enhances the smart home control user experience with several new features. The ELAN 8 software increases the simplicity of the already most intuitive interface on the market – a factor that has always set ELAN apart from its competition. The ELAN 8 interface now includes an all-new media tab and streaming interface, new slider controls, hundreds of new sub-system icons as well as a new custom tabs option being built into the platform. Voice control through Amazon Echo is now able to access ELAN’s common control functions, giving users more than one intuitive way to interface with their smart home control system. The new software also includes enhanced security functionality, with a new dynamic video transcoding feature that enables ELAN to pull high bitrate video from popular cameras and door stations, and dynamically transcode those videos in real-time. ELAN gives homeowner access to the highest-quality video footage, thereby increasing in-home security system reliability. ELAN offers the best home automation standard to help production builders sell more homes, help custom builders to sell more enhancements, and help MDU developers to get higher rents. Builders can work with ELAN to benefit their own businesses during custom-build projects. ELAN recently introduced the New Home Program, a new initiative that helps builders more easily integrate a smart home package in their offerings by partnering with local dealers and technology integrators. The new program takes the confusion out of offering and delivering home automation standards for builders. It’s no longer a matter of handing a potential customer the business card of a technology integrator and having no involvement in the sale of those features. Through this program, builders can much more easily offer smart home integration services as base packages to all of their customers. The ELAN Builder Program offers builders a complete range of benefits including aggressively priced and powerfully featured base packages, outstanding direct manufacturer product and marketing support and project oversight, and industry-leading model home and incentive programs. 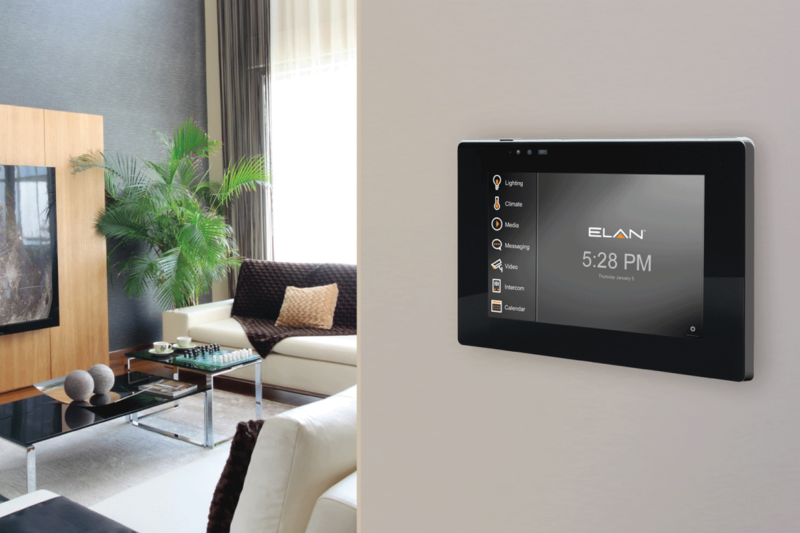 ELAN offers a single intuitive interface that allows homeowners to control multiple sub-systems. Specifically, the new ELAN 8 software extends and improves on the renowned ELAN experience, with several new features such as the integration of voice control with Amazon Echo as well as improved security footage. The ELAN 8 software update also makes some significant enhancements to the already user-friendly interface. The update includes an all-new media tab and streaming interface (which includes a new “zone” sleep timer function), new slider controls, hundreds of new sub-system icons as well as a new custom tabs option being built into the platform. There is also a new channel guide and TV favorites interface where homeowners can manage their own channel favorites. Further personalizing the ELAN experience for the homeowner, the ELAN 8 software includes a new calendar feature that enables the integration of Microsoft Outlook, Google Gmail and Apple iCal into the ELAN calendar module. In addition to the system’s enhanced features, ELAN’s New Home Program makes it easy for homeowners to seamlessly add an ELAN system into their custom-home packages. ELAN makes smart home control easy, from the integration process to the end-result.